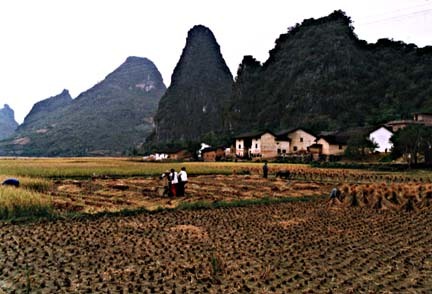 Chinese peasants harvesting rice near Yangshuo, China. 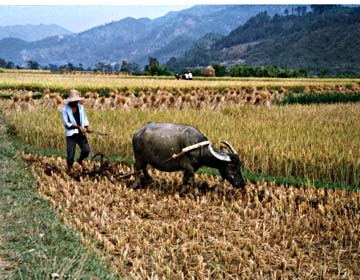 The rice is threshed by hand using a simple machine operated by foot power. This photo is also taken near Yangshuo. While much of China is becoming quite modern, it doesn't take much effort to find places like this where many things are still done with simple tools and animal power. This man with his baby was very happy when I asked to take his photo. 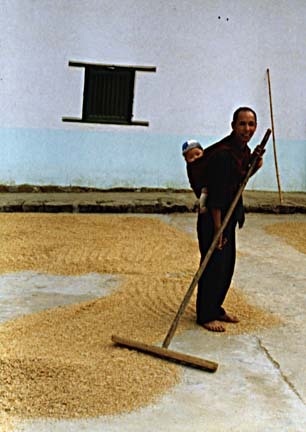 I wanted him to keep raking the rice, but he struck a pose instead. 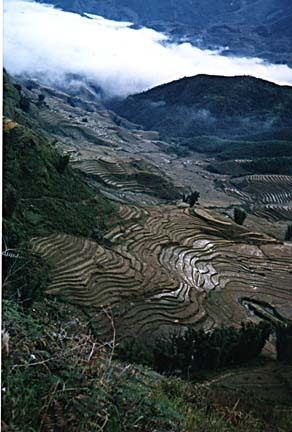 These rice terraces are near Sapa in the north of Vietnam. 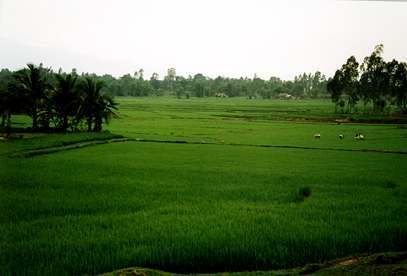 This photo is also from Vietnam and shows rice fields in the countryside in the central part of the country. Another incredible series of terraces. 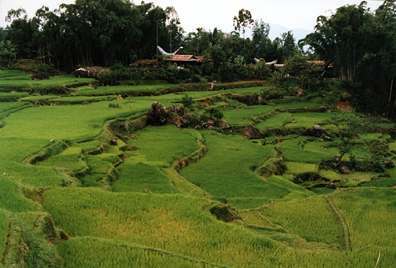 These are located in Torajaland in the central area of Sulawesi island in Indonesia. Note the traditional style house with the upturned roof in the background. 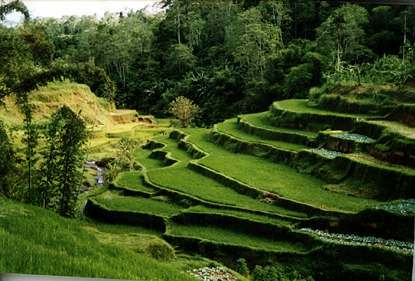 These terraces are on the island of Bali in Indonesia, another great location to see these incredible works of agriculture.